My wife, Catherine, treasures the jewelry her mother and father left for her. Each piece tells a story that is a window into their lives; their challenges and their joys. Each piece speaks to specific moments and emotions. There is comfort with Catherine knowing that she’ll be leaving her jewelry, in a similar way, to our two girls, Kaitlyn and Alexis. These songs are my ‘jewelry’ for my girls. And may these songs remind them of how beautiful they are, and how profoundly grateful I am to wake up every morning to the extraordinary wonder in my life. 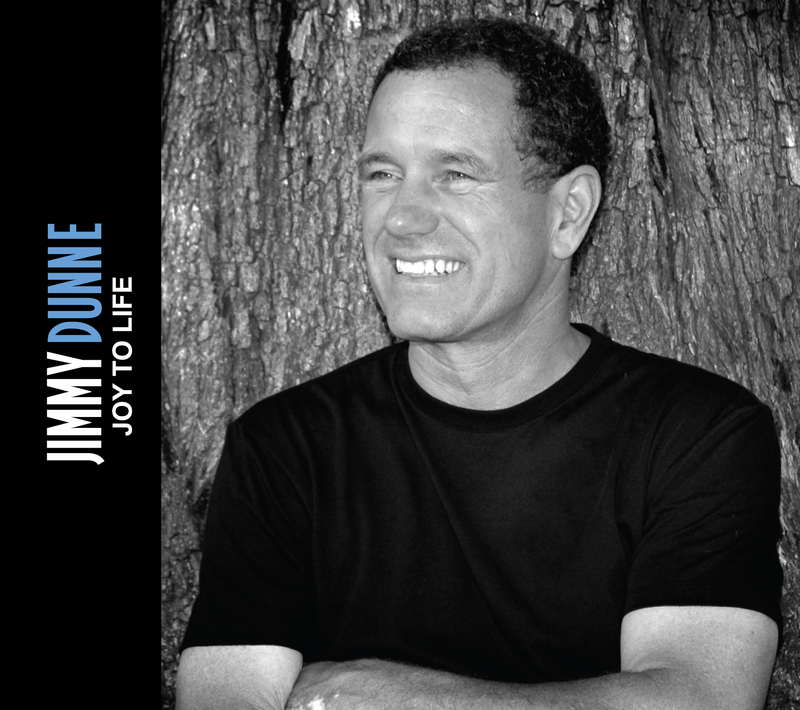 Jimmy Dunne plays a Yamaha Piano. B3 organ, acoustic and steel guitars, kettle drums, stand up bass; and digital orchestral instrumentation by Stephan Oberhoff. Recorded at Lawley Studios (Pacific Palisades, California). Recorded, mixed and mastered at Full Circle Studio (Los Angeles, California). All songs published by JPD Music (BMI). All rights reserved. Masters controlled by Jimmy Dunne Entertainment. If you’re lucky in life, you have the gift of one of the most treasured relationships in a lifetime; that between a father and son. My relationship with my father has been so rich; and it weaves through every aspect of my life. My father loved me – and respected me. If you’ve got that in your life, you’ve got a big head start on so many people. A song I wrote, “The Change in Me is You,” became the character theme for two of the principals of the “Santa Barbara” TV series a number of years ago — and was one of the most performed soap opera songs in the 90’s, appearing in many hundreds of its episodes. It was also their wedding song, and was one of the most viewed episodes in soap opera history. When my oldest daughter, Kaitlyn, was a freshman at SMU in Dallas, I watched her walking across campus towards me – walking under a stunning grass boulevard, canopied by its blossomed trees. I imagined what she was feeling; the richness, and the challenge, and the wonder of these precious, dear days… This song appeared. It has become the “SMU Song” at the university – but it will always be Kaitlyn’s song to me. This was lots of fun to record. We did it live and left a lot of the sound of the junk in the room on the recording. Stephan Oberhoff is so talented; and has a discerning palette with arranging and orchestrating music. Do you like the dress I’m wearing? Daddy, can you really hear me? Few states (or cities) have a definitive culture, a way, a lifest yle. Texas does. New York City does. New Orleans does. Alaska does. Hawaii does. And California does. California is about the dream. Of a better life, for ourselves and generations to come. My great, great uncle Phillip Dunne explored it in a film he won an Academy Award for as a writer/director, “How Green is My Valley.” From early explorers, to the Gold Rush, and to the Asian and Mexican communities making California their home, or to creators and intellects moving to California to find their dreams — California is a muse that calls to brave souls all around the world. The result is a melting pot unlike any on the planet — the home to many of the most creative, unique, brilliant minds on the planet. Last year, I wrote a song about that special place. That special home. California. It’s a beautiful, provocative, exciting, warm, passionate word to me. Stephan Oberhoff and I did a ‘live’ instrumental version — with piano and acoustic guitar. I hope you enjoy it… and if you’re from California, I hope it speaks to your journey and home. Because what these words mean and feel like sure are different as time and experiences — go by. I think of what was swimming in my head on the day I was married; Valentine’s Day, 1987. Catherine was absolutely stunning. Truly stunning. She’s more beautiful now. She’s more full of life now. The relationship she has with my two girls is so beautiful, so rich — and so passionate. I’m humbled at her joie de vivre for life, her commitment to her family — and her ability to put up with me. Lucky, lucky, lucky me to have become such a better person because of the woman I live and adore. My only wish is that you are blessed with such a life partner in your journey. The Autumn is a beautiful time of year. The colors are so distinctive. The air is clear. I took this picture in the woods d own the street from my parent’s house. One of the most special places I’ve ever been… Old Grau Mill in Hinsdale, Illinois. Purple lilacs are my mom’s favorite flower — so that makes them my favorite flower. Maybe it’s because they remind me of her. Their extraordinary striking color and the way they blow in the wind. How soft they are to the touch. How they stand out with such distinction. I wrote a song, “Joy to Life,” that I’ve been recorded a number of times and appeared on many shows over the years.